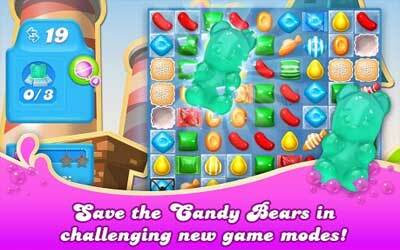 Previous version Candy Crush Soda Saga 1.78.27 apk for Android will help you to downgrade or install older app easily. This is one of the best Casual apps. Join Miss Tutu for a wonderful ballet performance. She swirls like cotton candy! Help Spin & Spun sell tickets to the big show; they just need a bit of inspiration! Don’t forget to download the latest version of Candy Crush Soda Saga for all the newest content!